This entry was posted in Christmas, Light Painting, Photography and tagged Antique, Cape May, Christmas, Glowing, John McCreary, Landscape, Light Painting, Nostalgia, Photography, The Abbey, Victorian. Bookmark the permalink. Hi, my family and I vacation in Avalon, NJ. We have been into Cape May. 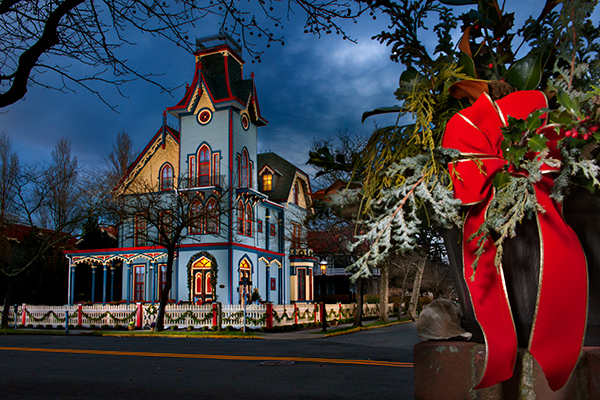 This is a beautiful Victorian house especially with all of the Christmas decorations. We hit the jersey shore too,but cape may might be too rich for our blood during summer. Nice! Looking forward to see what you come up with in 2015.